Here is a place for you to use when testing your browser capabilities for font resize (or if you are just bored and looking for something funny.) 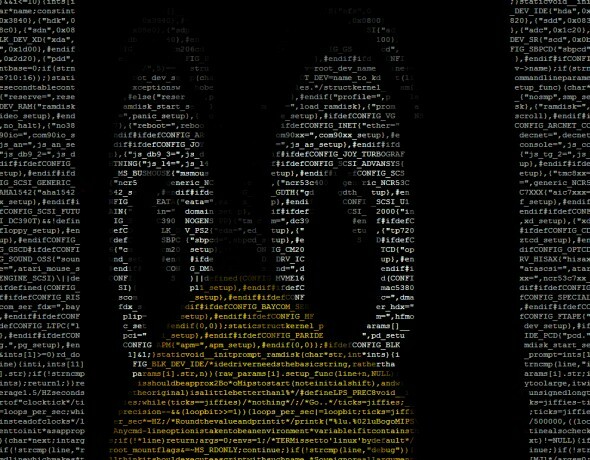 We stumbled this unbelievably cute ASCII art Linux penguin at 100mb.nl. Don't ask what is he doing there, other than just evangelizing a better operating system than the one we - and probably you too - are using to write this, because we have no clue. For those of you who wonder how have we managed to take such an extreme sized screenshot as the one at the top of this post check on this great Firefox plug-in named ScreenGrab. ...That is not ASCII art. That has color, and the "code" is outright faded in and out. 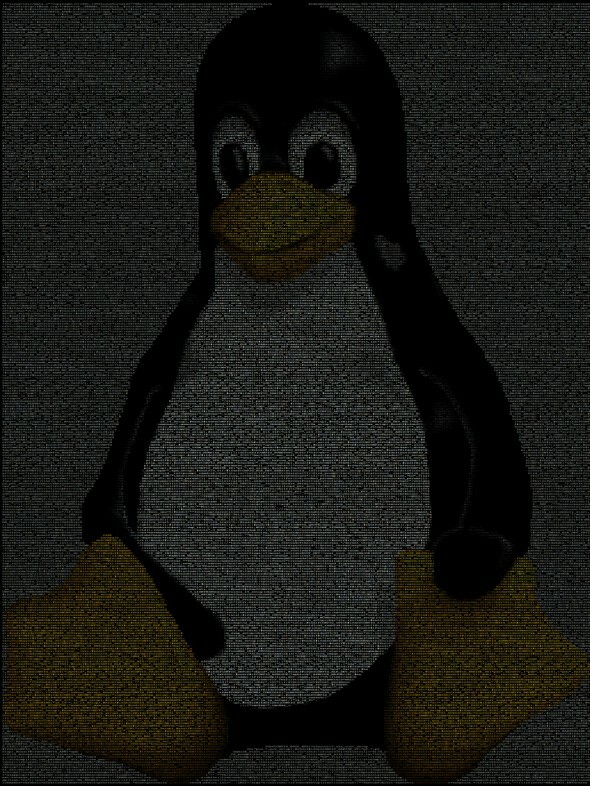 that's not ascii art, that's transparent text with a black background overlayed onto a real image. 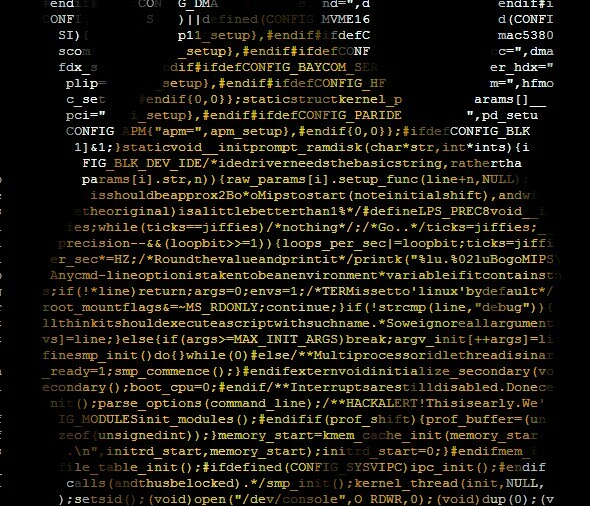 It is considered ascii art still, because it's still using ascii characters to create an image, but the characters themselves also add up to be the linux kernel (at least part of it) as was said above. The fading of the text is actually done with ansii color codes. There is NO fade in/out here, and no "black background overlayed"... Take a look into the web page code. The characters are given different colors through html.